​Riebeek Kasteel, and its sister town, Riebeek West, are two of the oldest towns in South Africa, situated at 80 km north-east of Cape Town in The Riebeek Valley. 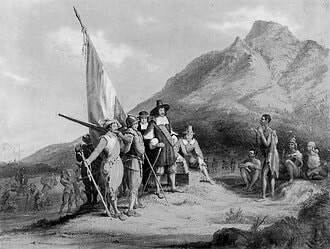 During 1661 Commander Jan van Riebeeck initiated an inland discovery expedition under the leadership of Pieter Cruythoff. They set off in the direction of Paardeberg and on 3 February 1661 they ascended a lonely mountain and came upon the fertile vista of the Riebeek Valley. They named it Riebeek Kasteel, in honour of the Commander. 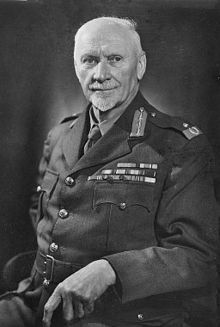 In the 19th century both Jan Smuts and Daniel Malan were born on the outskirts of neighbouring Riebeek West, both later becoming prime ministers of the country. ​In 2009 Riebeek Kasteel was chosen one of the three most beautiful towns of the Western Cape by the newspaper "Rapport". The other two finalists were Stellenbosch and Clanwilliam. This is an unofficial history of the Riebeek Valley. We say 'unofficial' because while some of the information is well documented, other information is based on the memory of elderly locals and hearsay. Instant profit beckoned so an expedition was sent out which found nothing. A second expedition set out on foot in January 1661 led by Corporal Pieter Cruythoff. With him were his deputy Pieter Meerhoff and ten men. Meerhoff was a Dane from Copenhagen. He was a surgeon and he kept the party's log. This expedition was the first, led by people of European origin, to clamber over what is now Bothmanskloof Pass and gaze down on the valley beyond. On February 4th Meerhoff wrote: "We journeyed east over the pass next to Riebeeck's Kasteel, which is a mountain, so named by us, when we came in the lovely valley east of the Riebeeck's Kasteel, where we rested. The same day we saw 13 horses (actually quagga), 5 rhinoceros, and thousands of hartebeeste." (Note: the c and 's in Riebeeck's Kasteel were subsequently dropped) Later they were stalked by a lion. Guided by a Sonqua (bushman) tribesman, the party then travelled further north and made contact with the elusive Namaqua. They were finally forced to turn back (goldless of course) due to lack of supplies. 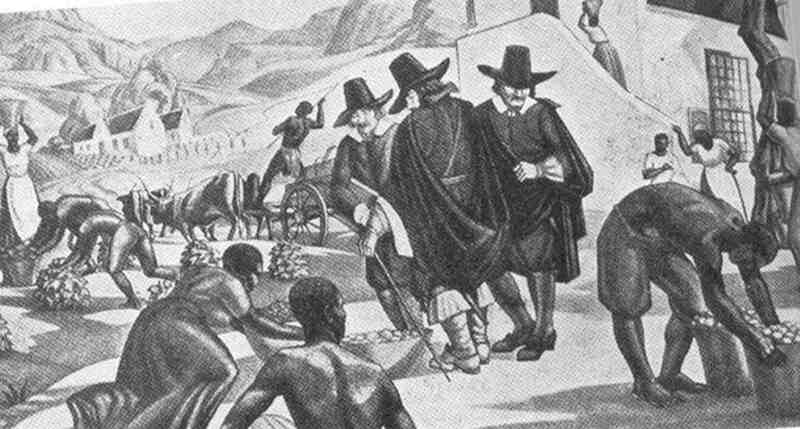 Meerhoff was subsequently put in charge of Robben Island (a source of building materials for the Company – extracted by convict labour) before being killed during an expedition to buy slaves in Madagascar in 1667. 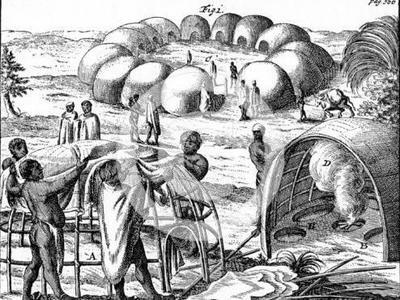 In the early years the Dutch and the indigenous people (mainly pastoral, nomadic Khoikhoi) coexisted fairly peacefully. However the Dutch enclosed more and more land and kept on widening their geographical sphere of influence. In due course this led to trouble. The Company created free burghers (farmers) so that more food might be produced. But the Company insisted that all produce must be sold to them at unrealistically low prices. This meant that the burghers received inadequate returns and were forced to think of other ways of surviving. One way was hunting. In the 1600's there were deep pools in the Berg River in which numerous hippo wallowed. They grazed in the long grass by the river where they were shot in large numbers by the burghers. This alarmed the Sonqua who complained to the Khoikhoi (led by a chief called Gonnema) that their food was being removed. The Khoikhoi, who saw that agreements previously made with the Dutch were being broken, confronted hunting parties and destroyed their equipment and belongings. ​The conflict escalated. Farms were burnt and hunters killed. Finally a force was sent out from Cape Town in 1673, under Ensign Hieronymus Croese, with instructions to sort out the problem. Progress was very slow due to appalling weather – continuous rain, sometimes torrential, which frequently bought the troop to a complete standstill. It must have been a miserable, but evidently determined, group of men who eventually camped near Riebeek Kasteel. They travelled on to the Berg River at Sonquasdrift where they were overtaken by a mounted troop of burgher militia. The river was in flood and nearly 100 paces wide. Having crossed by raft, Croese attacked the Khoikhoi, who fled. But Croese's troop rounded up most of their livestock (sheep and cattle) which were then herded back towards the Berg River. The troop was constantly harried by the Khoikhoi who attacked in force at Sonquasdrift. The crossing turned into a thundering melee. Panic stricken animals crashed about in all directions, volleys of musket fire contributed to the din and horses and men were stabbed with assegai. 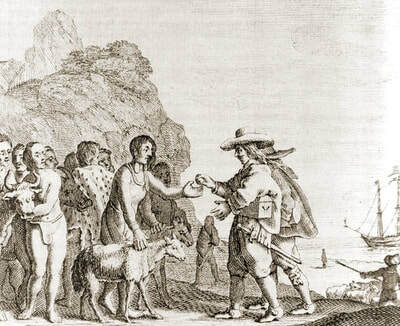 Croese finally got away from the drift and made his way back to Cape Town with the remaining men and animals. 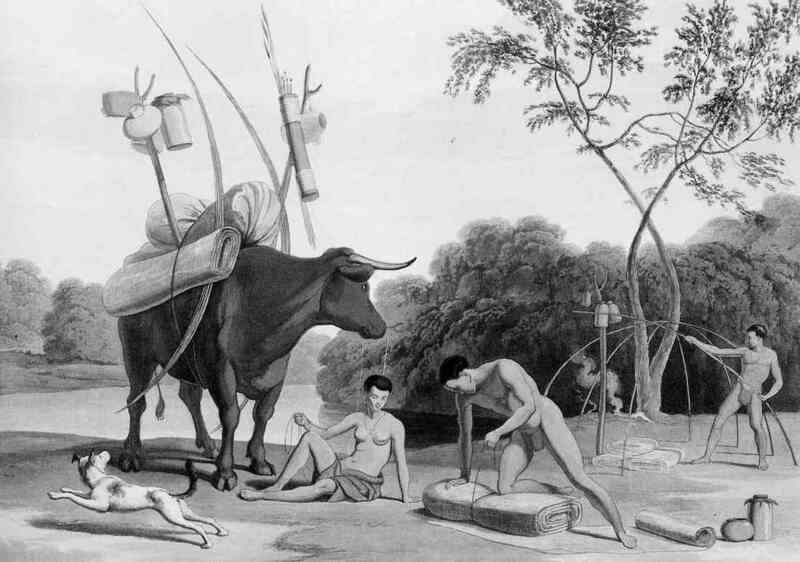 Meanwhile many of the Khoikhoi faced starvation, since they had been left in mid-winter with most of their livestock (on which they depended for survival) gone. In spite of this set back the Khoikhoi continued to harass the Dutch and amassed another herd of sheep and cattle. In 1674 Croese, leading another troop, followed the mountain escarpment as far as Voëlvlei. He found the Khoikhoi kraal near to what is now Gouda. Once again the Khoikhoi fled and Croese took most of the animals. But Gonnema acquired more by taking animals, which were being herded towards Cape Town, from other tribes. In so doing he more or less closed down the livestock trade which caused the Dutch considerable problems. The war dragged on, without any real advantage to either side, until 1677 when both sides agreed on peace terms. Gonnema died in 1686. Following this the tribe went into decline. Loss of land was a problem, but the final blow was a devastating smallpox epidemic which coincided with a drought and a bad period for stock disease. Many of the Khoikhoi died. By 1720 – less than 70 years after the Dutch arrived – the people who had inhabited the Riebeek Valley area for hundreds of years – had basically vanished as a separate entity. When Simon Van der Stel became Governor in the late 17th century, he was worried that the Cape might be invaded by the French or English. He wanted 2000 men capable of bearing arms. So for the first time settlements were established outside the peninsula (Stellenbosch, Franschhoek and others). At this time all men had to belong to the burgher militia and might be summoned to arms at any time. There was also a compulsory annual training camp in Cape Town. This was unpopular amongst the farmers of the Riebeek Valley since it was a long journey to Cape Town and they had to leave their farms unprotected. Some of the first farmers were Huguenots. This led to the early establishment of vineyards along with wheat and other fruit crops. Most of the grapes would have either been used to produce sweet white wine (for which the Cape became famous throughout Europe) or distilled to make brandy. The original settlers were joined by others in the 1730's and 40's and the area under the mountain became a sparsely populated farming community. Over the years Riebeek Kasteel became inhabited by wagon makers and other artisans while retired farmers settled in Riebeek West. One can still see reflections of the relative wealth and status of the two villages in the 19th and early 20th century by looking at house styles – older houses in Riebeek West tend to be much grander. And compare the railway stations – Riebeek West had a substantial country station with buildings and a long platform while Riebeek Kasteel had a small halt. The villages were given nick names which reflected their status: Riebeek Kasteel – Mossienes (an untidy sparrow's nest) and Riebeek West – Vinknes (a tidy weaver bird's nest). 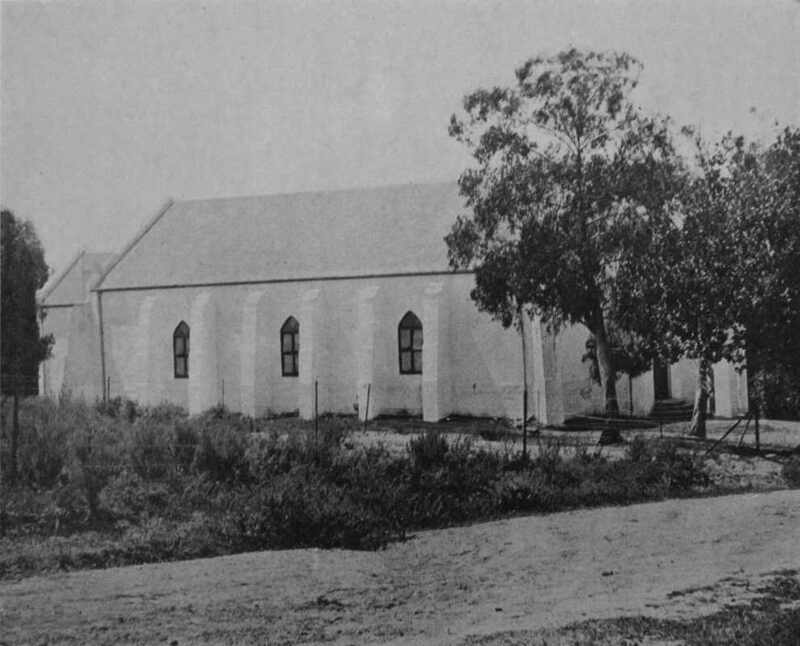 Dutch Reformed Churches were established in Stellenbosch in 1679 and Zwartland (now Malmesbury) in 1745. People trekked from the Riebeek Valley to worship on Sundays. Due to slow, primitive transport they only did this for communion which was celebrated four times a year (at other times prayer meetings were held on each farm). It would have taken a day or so to get to Zwartland church and Stellenbosch was a three week return trip. Usually farmers and their families usually stayed several days bartering goods and socialising as well as worshipping. Some people owned a house near their church and others camped in their wagons. 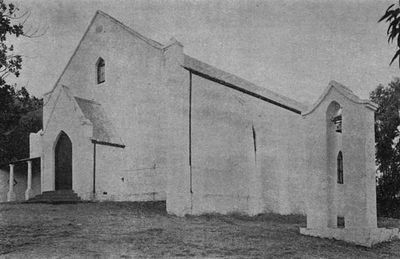 In spite of the difficulties encountered in getting to church, it was not until the 1850’s that the whole community agreed to build a church in Riebeek Kasteel (De Oude Kerk). However halfway through the project the wealthier residents of Riebeek West held a series of meetings which resulted in them withdrawing and building another church four kilometres down the road. The doors to the Oude Kerk were opened in 1855. 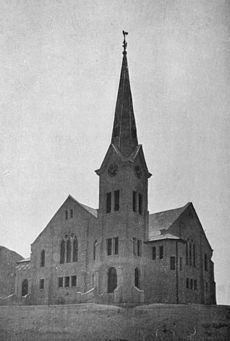 But Riebeek West church, opened in 1858, had the first active congregation since a dominee (pastor) was appointed immediately. 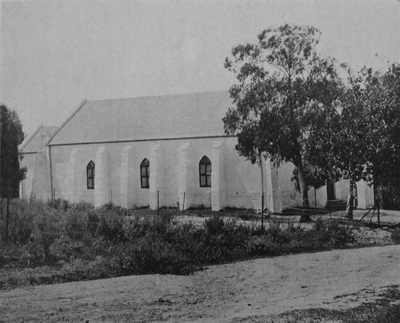 One did not arrive in Riebeek Kasteel until 1881 due to lack of money. French astronomer, Nicolas Louis de Lacaille, who was an Abbé with the Catholic Church, visited in 1752. He was a pioneering surveyor and he established an early triangulation system, at least part of which is still used today. A spot on the Kasteelberg was a key point. Following the plotting of stars he concluded that the Earth has a larger radius south of the Equator. This caused quite a stir at the time but he was wrong. He had failed to allow for the magnetic effect of the mountains. In 1839 Sir Thomas Maclear, of the Royal Observatory Cape Town, climbed the Kasteelberg. He took further measurements which enabled him to correct de Cacaille's earlier findings. 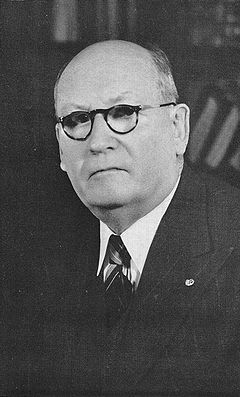 Four years later, South African prime minister DF Malan, was born at Allesverloren. This farm is still owned by the Malan family. In the early days many farms only produced enough to feed themselves plus a small surplus. This was periodically loaded onto wagons and hauled to market. Farmers sold hides, soap, butter, wine etc and bought essentials such as gunpowder, lead (for bullets) and iron. Any money left was used to buy luxuries such as tea, coffee and rice. These journeys would not have been lightly undertaken since there was little serious road building until the mid 19th century. Thus ox wagons, which were very slow at the best of times, frequently got stuck, broke down or even overturned. In due course trading stores started operating (they paid less and charged more – but farmers using them saved a considerable amount of time and effort); but it was the railway which really opened up the Riebeek Valley (and the rest of the country) and increased prosperity. By 1863 the line to Wellington (from Cape Town) had been completed. Further progress was delayed due to lack of money and the problem of getting over/round the mountains. It was not until 1873 that the famous road builder Thomas Bain (not to be confused with the artist Thomas Baines), son of Andrew Bain who built Bain's Kloof Pass, was appointed to extend the line to Worcester by building a lengthy loop via Hermon and Roodesand Pass (now Nuwekloof). While work was in progress he lived with his wife Joanna and his children at Eikeboom just south of Hermon. Bain was used to working with convicts but they were not used on this stretch of railway. 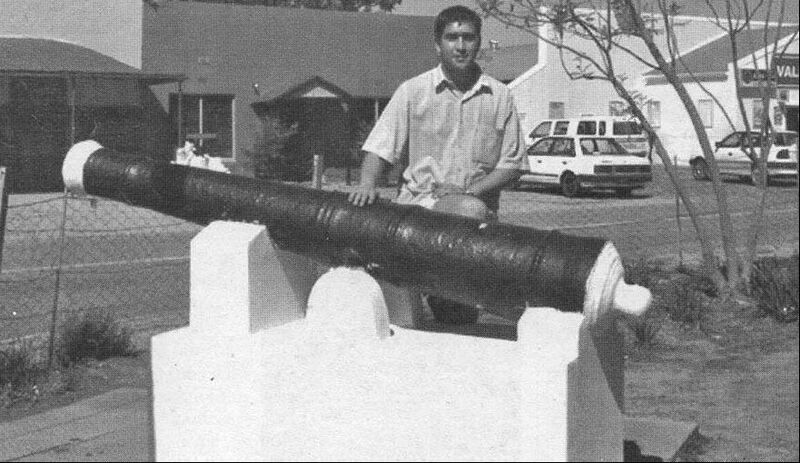 Initially around 100 men from Genadendal and Zuurbraak Missions plus a few others from Cape Town were employed. By 1874 their ranks had been swelled by hundreds of navvies and artisans. Their impact on a quiet, and hitherto relatively undisturbed, farming community must have been startling! The line to Worcester was completed in 1876. Hermon became a busy rail head. At times as many as 300 ox wagons a day might arrive with produce for onward freighting by rail. In 1929 the branch line from Hermon to Porterville was opened with stations at both Riebeek Kasteel and Riebeek West (on a regular basis this line now only takes freight traffic as far as PPC).